On September 17 our darling Welsh Corgi fluff, Katie, lost her long battle with cancer. She was a fighter and she kept her vivacious personality until she passed away. When we saw Katie’s picture on the front page of the October 15 issue of the Guardian we were overwhelmed by the understanding of how much Katie had been loved on campus. Then we saw the beautiful memorial that had been erected next to the Sun God! 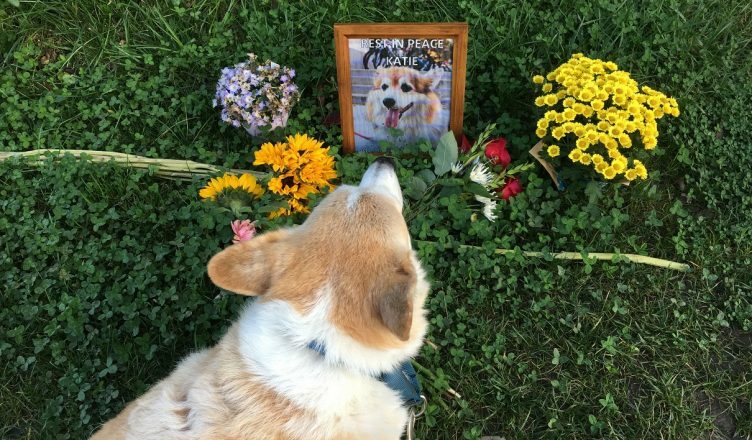 We wish to thank everyone on campus ― students, staff, faculty, vendors ― for their kindness to our corgis ― and especially for your expressions of sympathy and grief after Katie’s passing.